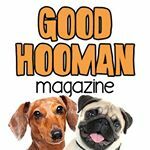 Good Hooman Magazine is the world’s first lifestyle magazine designed for dogs to read. We work with world famous dogs like Crusoe the Celebrity dachshund, Topi the Corgi and others (if you own a famous dog there is a possibility your dog can become one of our cover models – see link at the bottom of this page). What sets this campaign apart is the fact our magazine is truly new and something you and your audience will most likely be genuinely excited about. Plus you will be directing followers to a crowdfunding campaign (our first campaign was successfully funded on Indiegogo) which makes it appear less promotional since you are trying to help us fund something unique instead of just promoting another product. Apart from the magazine we also run a rescue friendly Facebook page with 150,000 followers. Our first post about the magazine last year reached more people naturally than most other posts we’ve made over the past 5 years. We have on rare ocassions made promotional posts about other products and have found that the magazine typically sells around ten times better than anything else we’ve ever promoted. We plan to make rescue a permament aspect of the publication as that is something we strongly believe in. We provided free ads to Dachshund Rescue of Bucks County in the first edition and ran several rescue stories.